Abu Dhabi: The Ministry of Climate Change and Environment has put a priority on increasing the use of hydroponic technology, which relies on nutrient-rich water to grow plants with the use of little or no soil, and organic farming as part of the 2017-2021 food security strategy, a top official told the Federal National Council on Tuesday. Hydroponic farming is up to 70 per cent more water efficient than traditional methods and allows for a longer growing season. “Hydroponics is one of the techniques that proved over the past few years as having excellent prospects for the UAE and the greenhouses grew from 50 in 2009 to 1,000 last year,” said Dr Thani Ahmad Al Zeyoudi, Minister of Climate Change and Environment. Dr Al Zeyoudi added the technology helps a lot in conservation of water, which is a challenge in the UAE and the region. Most farmers rely on groundwater to irrigate their crops but the amount and quality of the country’s reserves have been decreasing steadily after years of exploitation. The minister said his ministry has also been promoting organic farming for a few years with 46,900 acres producing organic crops across the country. 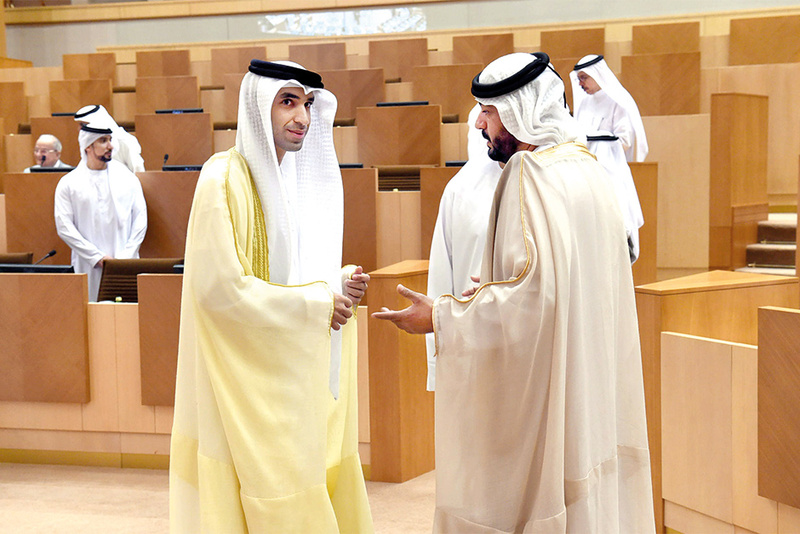 Dr Al Zeyoudi was answering a question by Salem Ali Al Shehi, a member from Ras Al Khaimah, concerning the ministry’s efforts to boost food production through hydroponics and organic farming. Al Shehi said the ministry should help more farmers switch to hydroponics and organic farming. The member also demanded that the ministry help more farmers by providing hydroponic systems and fertilisers at subsidised prices to boost food production and make it more efficient. The technique was first introduced in the country in 2009, when there were 50 such greenhouses, compared to 1,000 at the end of 2016. Al Shehi said hydroponics saves some 80 per cent of irrigation water and can produce crops for 10 months of the year. 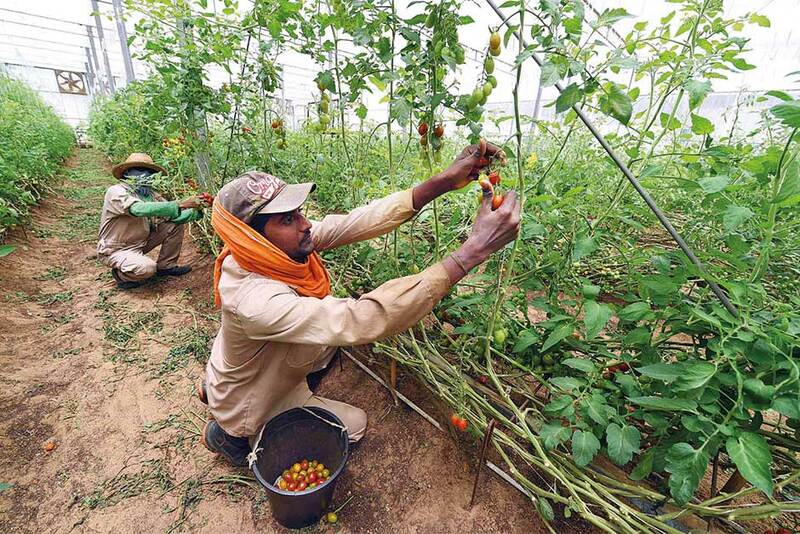 “But the cost involved might hamper more farmers from changing to hydroponics,” he said. He estimates that a hydroponic farm could cost around Dh250,000 to establish, because a greenhouse farm costs about Dh30,000 to Dh50,000. The minister said quality seeds, greenhouses, laboratory tests, and research and development services are offered to farmers to encourage them to resort to hydroponics and organic farming to grow chemical-free products. “Organic products bear a distinctive mark to enhance consumer confidence and the ministry is creating new marketing opportunities for organic products in cooperation with competent local authorities to encourage organic farmers,” Dr Al Zeyoudi told the House. Among the country’s largest hydroponic agricultural producers is Emirates Hydroponics Farms (EHF) between Abu Dhabi and Dubai. Other UAE hydroponic specialists include Salata Farms in Ras Al Khaimah and regional operator Pegasus Agritech, headquartered in Dubai. The water savings hydroponics offers are little short of dramatic. To produce one kilogram of lettuce, for example, it requires a little over 20 litres of water, while traditional methods are said to use almost 400 litres. In typical hydroponic systems, up to 80 or even 90 per cent of the water can be reused — rather than simply allowing it to seep into the ground as with traditionally planted crops. However, it is not just the water savings that make hydroponics attractive, Al Shehi argues if farmers grow crops in open fields, they will require a large land area, while with hydroponics, they would require a smaller footprint area to produce more crops. “With hydroponics comes the improved growing rate because it is easier to create perfect conditions for growth such as light, temperature, carbon dioxide and nutrients.